Stammwerk der BASF Gruppe Ludwigshafen. Wassertank am Rheinufer in Ludwigshafen.Das Herz der BASF-Gruppe ist die BASF SE mit ihrem Stammwerk in Ludwigshafen am Rhein. Mit über 200 chemischen Produktionsbetrieben, vielen hundert Labors, Technika, Werkstätten und Büros ist es der größte zusammenhängende Industriekomplex Europas. Auf einem Areal von über zehn Quadratkilometern sind rund 33.000 Mitarbeiter mit der Entwicklung, Erprobung, Herstellung und dem Verkauf von mehreren tausend Produkten beschäftigt. Abdruck honorarfrei. Copyright by BASF. Headquarters of the BASF Group Ludwigshafen. Tank on the bank of the Rhine in Ludwigshafen. The heart of the BASF Group is BASF SE headquartered in Ludwigshafen,, Germany. With its over 200 chemical production plants, several hundred laboratories, technical centers, workshops and offices, it is the largest integrated industrial complex in Europe. Over an area of more than 10 square kilometers, some 33,000 employees work on the development, testing, manufacture and sale of thousands of different products. Print free of charge. Copyright by BASF. 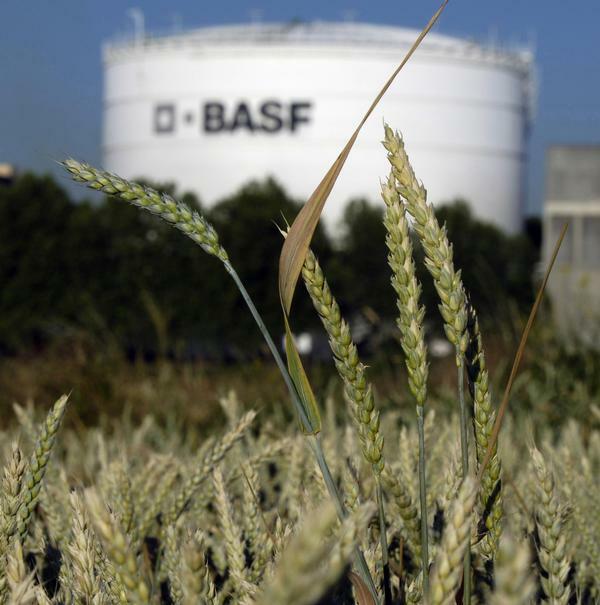 BASF plans to sell major parts of its fertilizers activities. This comprises production plants in Antwerp, Belgium and BASF’s 50 % share of the joint venture PEC-Rhin in Ottmarsheim, France. The activities have a total annual capacity of approximately 2.5 million metric tons of fertilizer and account for less than 1 % of BASF Group’s total sales. BASF plans to complete the transaction by the first quarter of 2012. In Antwerp, the scope includes plants for CAN/AN (calcium ammonium nitrate/ammonium nitrate) fertilizers, Nitrophoska fertilizers and nitrophosphoric acid as well as three related nitric acid plants. In a first step, it is planned to carve out the activities into a 100 % BASF subsidiary. About 330 employees will transfer to the new company and later to the future purchaser. BASF also plans to sell its shares in PEC-Rhin, which produces CAN/AN fertilizers and the respective intermediates, ammonia and nitric acid. The company is a 50–50 joint venture with GPN, a member of the French Total group, and currently has about 190 employees. The plants in Ludwigshafen are not included in the carve out as they have an essential function for important value chains within the Verbund site.